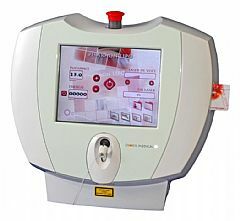 Lipotherme is a lipolysis laser system. This technique is a safe, effective and minimally invasive procedure which targets localized fat deposits resistant to diet and exercise, by using the thermal effects of laser, and leads to a skin tightening The lipolysis laser is an advanced technology in the treatment of localized fat deposits. The laser energy is delivered by the optic fiber which is introduced in the hypodermis and allows an elevation of temperature. This volumetric heating launches the process of destruction of fat cells (adipocytes), initiates a skin tightening and decreases side effect thanks to the coagulation of small vessels.